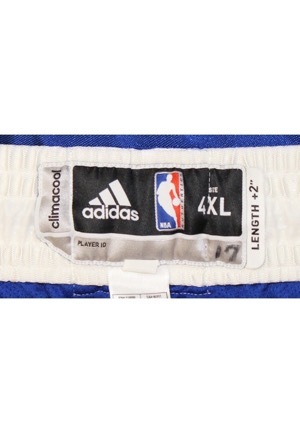 In the rear waistband is the Adidas manufacturers tag size “4XL” with an attached flag tag reading “LENGTH +2””. 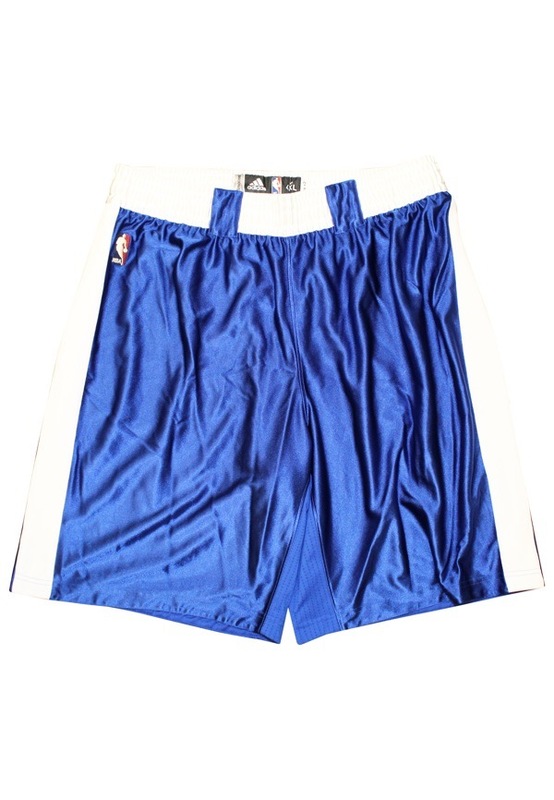 Below is a “MADE IN THAILAND 4XL2”, shorts materials with washing instructions and an additional Adidas flag tag. The player number “17” is handwritten on the “PLAYER ID” area. There is team piping down the sides and an official “NBA” logo embroidered. 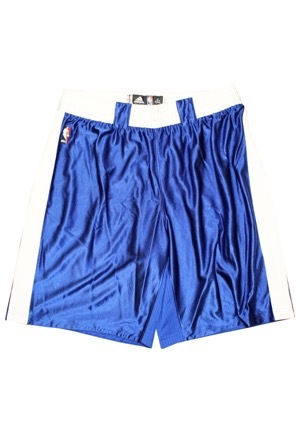 These shorts are properly tagged and were presented to us as game-used attributed to Jonas Valanciunas.